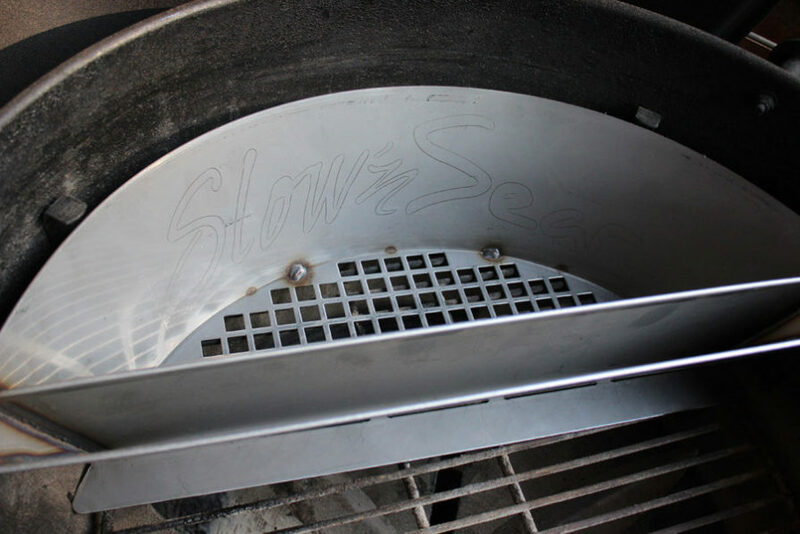 For an upgraded grilling and smoking experience choose the Slow ‘N Sear Plus – a Standard (22″) Slow ‘N Sear with a ventilated, welded stainless steel base plate. Easily create and maintain a two-zone cooking environment in your kettle grill for high-quality grilling, low ‘n slow barbecue, roasting, baking…the Slow ‘N Sear does it all! 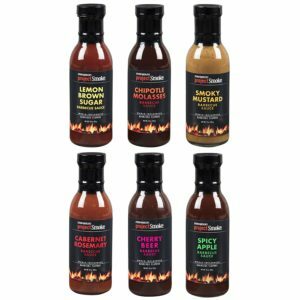 Expand your back yard cooking capabilities! 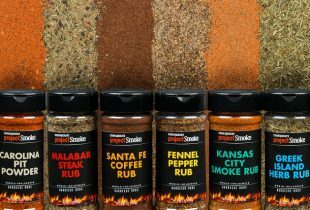 Get extended, hassle-free low ‘n slow smoking (8+ hours on a single fill of charcoal @ 225 F), AND a restaurant-quality high heat sear zone all with a single grill insert. 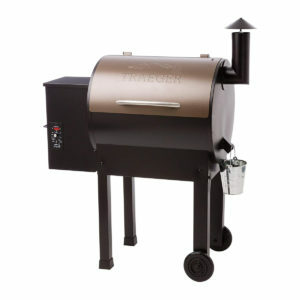 The ventilated base plate provides ample airflow and keeps small pieces of fuel (lump charcoal or small burning coals) securely in the charcoal basket, allows for the Slow ‘N Sear Plus to be moved around the grill with coals, and makes cleaning up unused charcoal a breeze. Quality materials and construction (6+ lbs of heavy-gauge 304 stainless steel) MADE IN THE USA! Free FedEx Home Delivery shipping in the lower 48 U.S.!